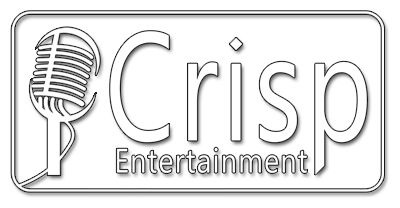 Crisp Entertainment | Stage Sound, Lighting, Weddings and More! Your wedding done your way. From the subtle tones of orchestral music hovering over your guests as you walk down the isle, high-energy introductions, subtle slow dances and everything in between, we create the feelings and mood that are just right for your wedding day. 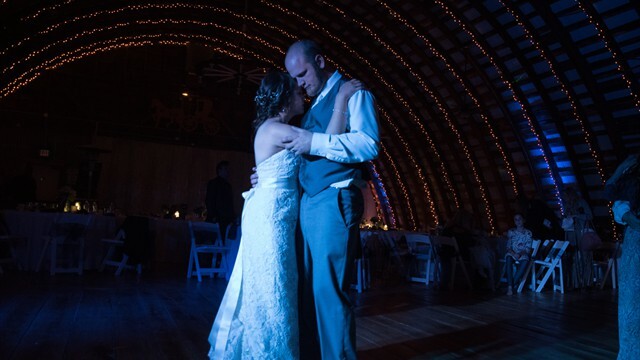 We promise to help take the stress out of your wedding day by bringing our experience and professionalism to make it so you don't have to worry about a thing. Pictures on the way! We really care about our events, and we really care about educating you on our services and products! That's why we wanted to get as much information to you as possible quickly! Photos and fun extras are on their way! If you are interested in photos of our services feel free to contact us and we'll email them to you, or better yet, sit down together to go over what we can do to make your event the best! Much more than a playlist! Our entertainers are hand picked to have a vast background of musical knowledge that allows them to read the crowd at your event keeping people entertained and on the dance floor. It's all about finding balance with us at Crisp Entertainment, and for music that balance comes from knowing when to play the music that gets both young and old guests dancing and enjoying themselves together. It's that balance which lets you enjoy the day just as much as your guests! Crisp and clear sound is what we are all about! Our equipment is the highest quality professional gear from some of the best and biggest names in the sound and music industry. 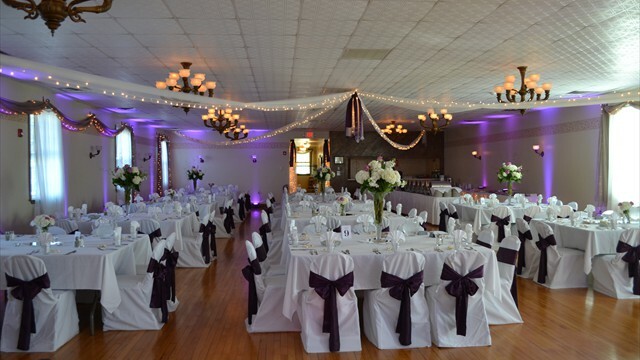 We are able to outfit your wedding with the exact right amount of gear that will make you and your guests comfortable in any seat and at every volume level! Not only is our equipment top of the line from companies like Bose, QSC, Sennheiser, Shure and more; but our entertainers are also practiced sound engineers that will find the "sweet spot" in your room to make the music feel just right! We want to make sure you and your guests get the best sound experience possible. We will always have the right equipment for your main venue room, and can bring extra speakers and sound systems upon request for outdoor seating areas, separate bar rooms, cocktail lounges, etc ask us for a quote! Some companies and brands that we use. Walk into your wedding venue awash in vibrant colors accenting your center pieces, decorations and even your bridesmaid's dresses. Our customized up lighting and architectural lighting skills help us make your wedding venue truly look right out of a dream. 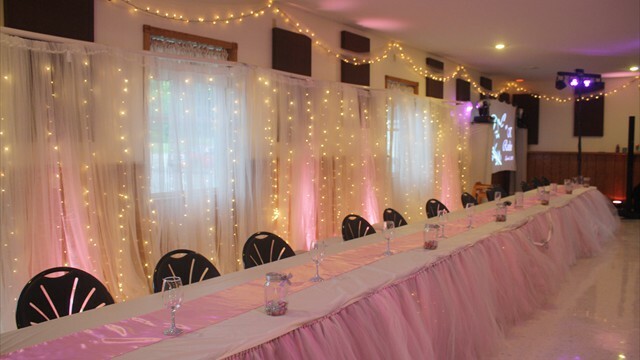 Up lighting (professionally known as architectural lighting) has taken off in the past few wedding seasons, and because of this we always offer at least head table lighting. Ask us about up lighting add-on's and packages! It goes without saying that LED lights are the future for all lighting applications. 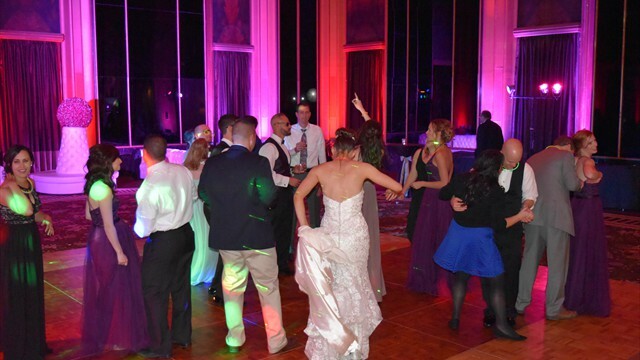 Our up lights are all LED fixtures, cool running, and able to be programed and customized to fit your weddings color scheme and light up the room during the night! Column style up lighting on actual columns! Each column supports two points of up light to make it positively glow! 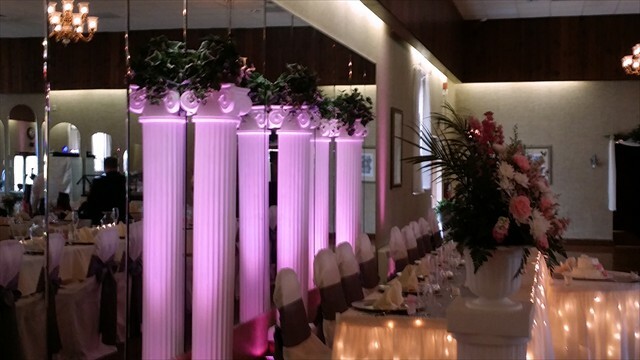 Columns placed in symmetrical locations around the room set to the same color matching centerpieces. 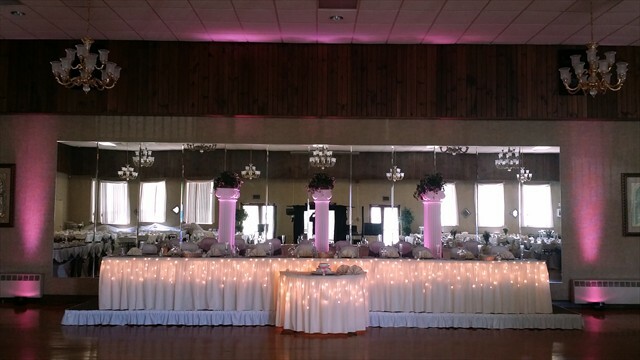 Column lights with alternating colors to match the wedding's decor. Mixing wash technique and column technique to light the head table and back dressing. Another view of the columns lit from the front. During the day they stood out, at night they were radiant! 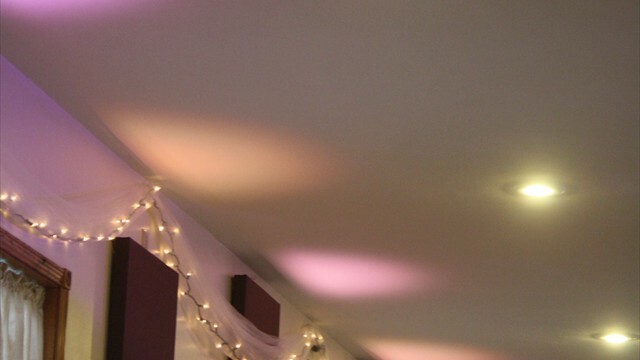 Lighting can help paint the mood of an event. Use it effectively to create intimate moments. Spice things up later in the night! our custom lighting dances with you changing color and accents to make your expierence unique! 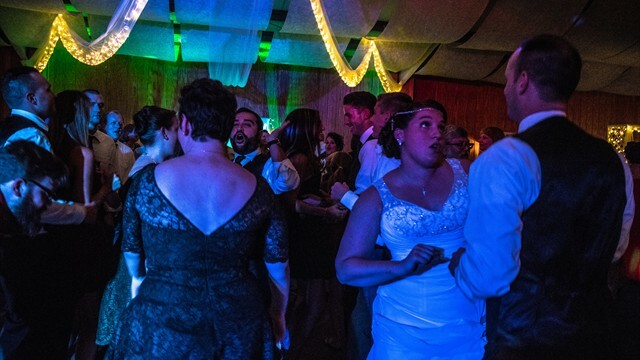 Your wedding should be a wonderland of color, sound and fun! Let us make it the best it can be! Our goal is to take a day that can be already very stressful, and make it as simple, exciting, and fun as it can be! That's why, unlike many other entertainment services, we offer a singular simple choice package that includes everything you'll want and need for your big day!